Yesterday, I presented a webinar on polycystic ovarian syndrome (PCOS). 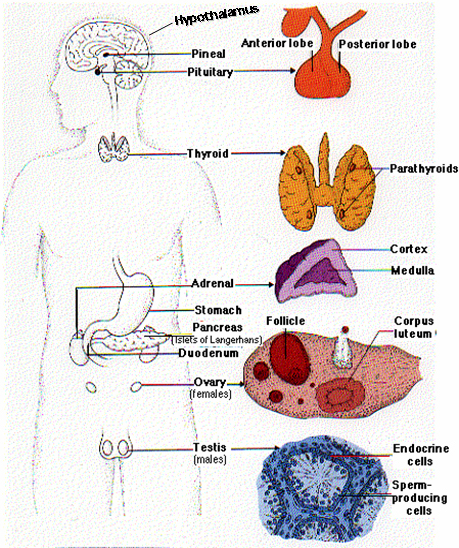 I discussed the endocrine system–not to cause extreme ennui, but to point out how our endocrine system affects our overall health. Our bodies are incredibly intelligent (usually, but our brain can convince us chocolate cake is good food). 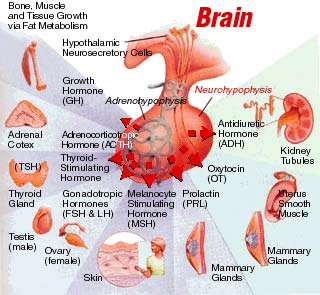 We are naturally designed to run smoothly, constantly working to keep all systems in balance (aka homeostasis). As I was saying, the goal is balance. If we push one aspect of our system out of balance as a result of poor food choices, stress, trauma, chemicals or unhealthy-habit, our body steps up to compensate. When it can no longer compensate, our body begins to show signs and symptoms of disease. Pretty cool what goes on “behind the scenes” while we keep moving through our days–reading this fabulous blog, brushing our teeth, working, listening to NPR, etc. The linked article below by TEDX gives us a handy-dandy list of all the endocrine disrupting chemicals that we should attempt to avoid. Every chemical shown on the TEDX list meets publishing standards by having one or more verified citations, and the article also cites the primary scientific research that demonstrated effects on the endocrine system. tourists and travelers aware and familiar with this place.